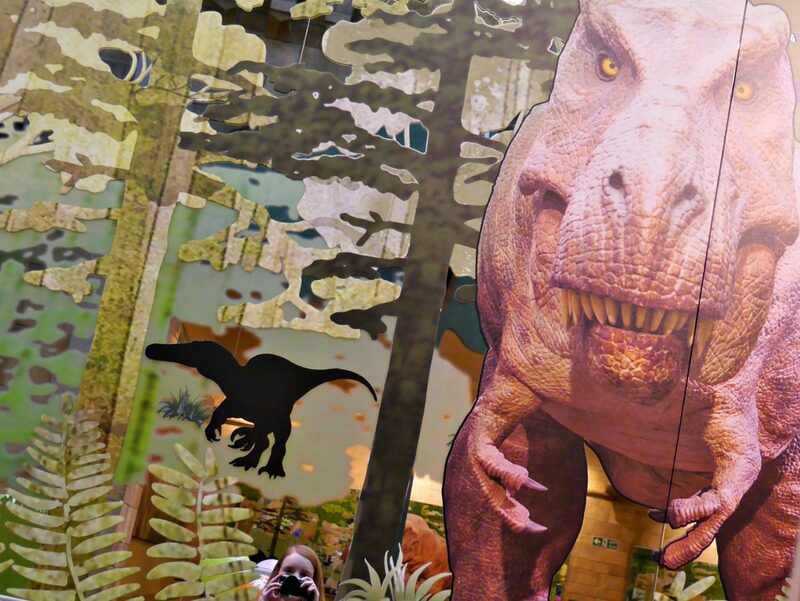 You can’t really argue that the Natural History Museum is one of the best London museums for children and adults (although it’s on a long list with our other favourites including The Science Museum, The Horniman Museum…oh and *way* too many to list). 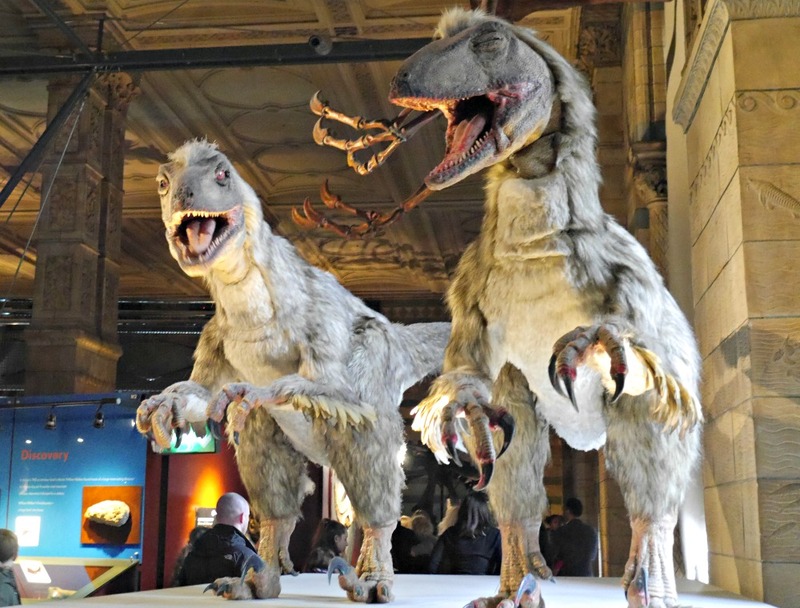 I loved the Natural History Museum when I was younger and my children love it too; there’s dinosaurs and now a whole herd of childhood nostalgia. 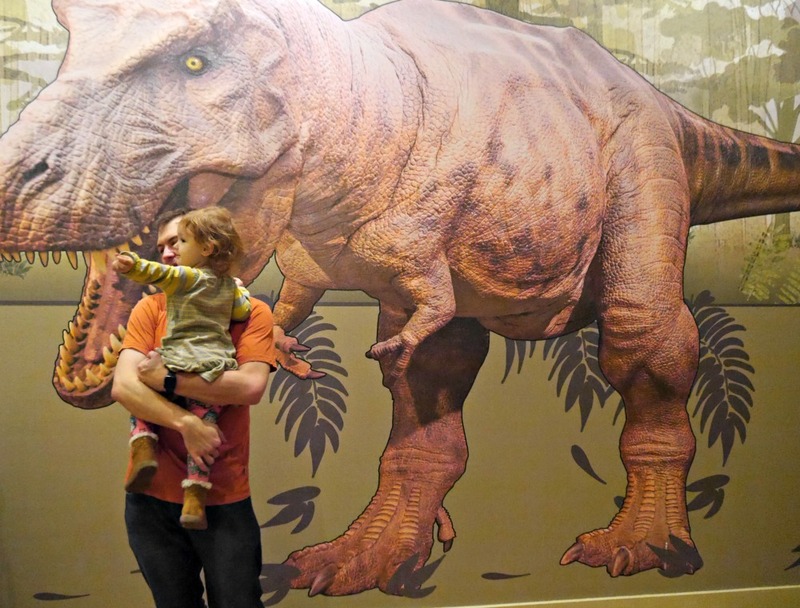 Although the museum’s most famous resident is currently off on tour there are still dinos-aplenty and all the other usual exhibitions, as well as E’s favourite, the earthquake simulator. 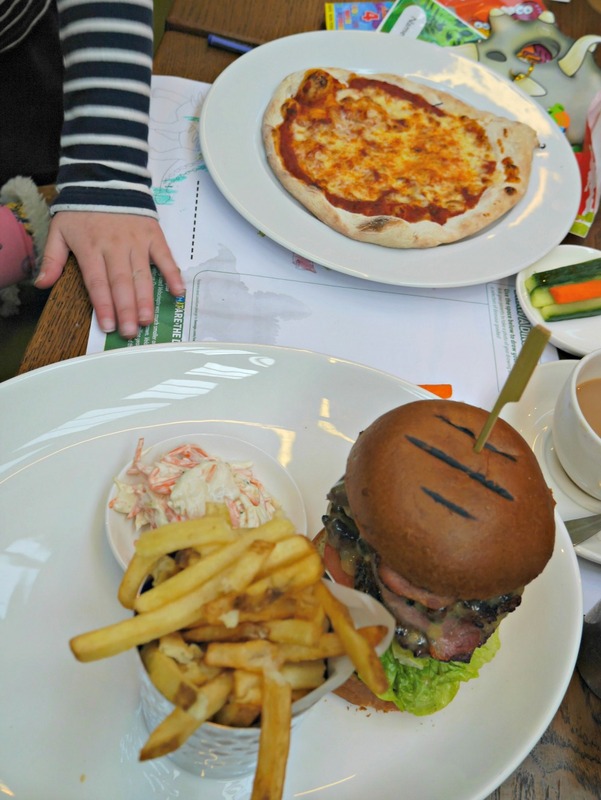 There’s also the brand new T Rex Grill, the dinosaur themed restaurant in the museum, which we headed over to try out a few weeks ago. 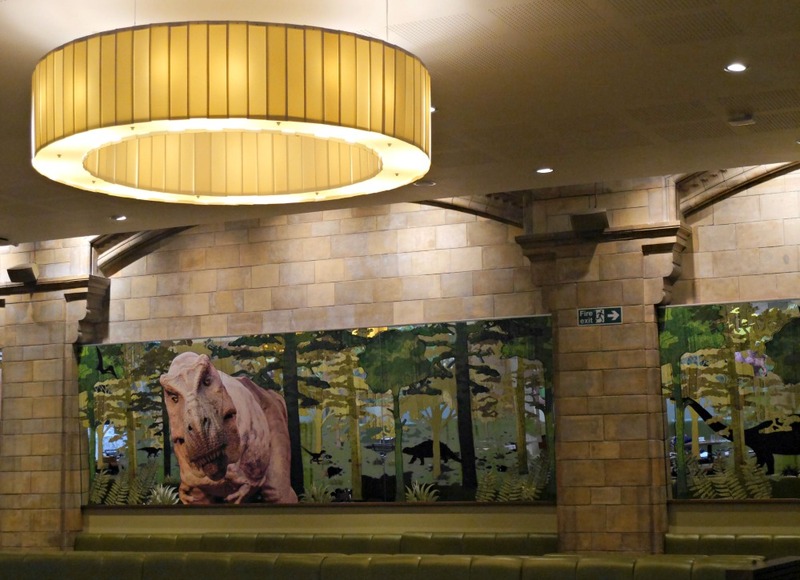 It’s been given a prehistoric twist with dino decorations and a new menu from Benugo. Adults mains are around £10 – £15 so it’s not the cheapest lunch, although you are in central London and a major tourist location. 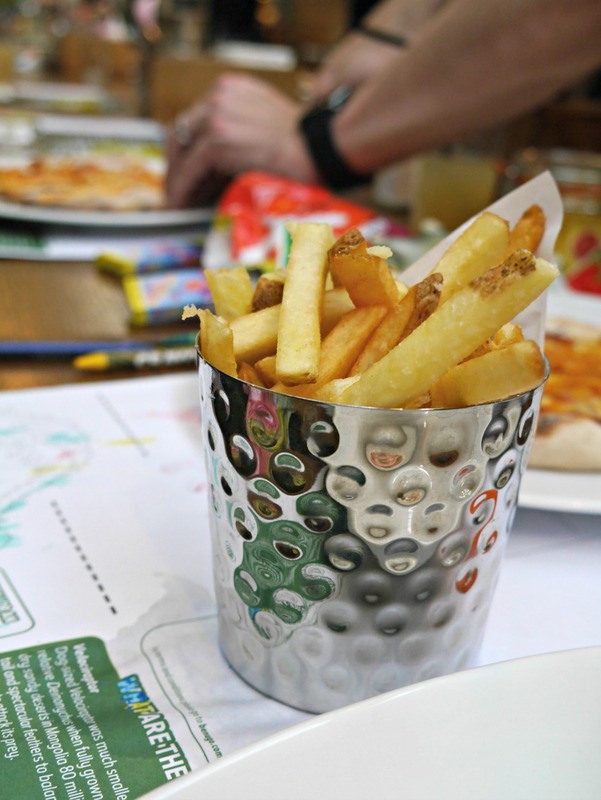 And the children’s menu has an £8 meal deal, which is on a par with Pizza Express. 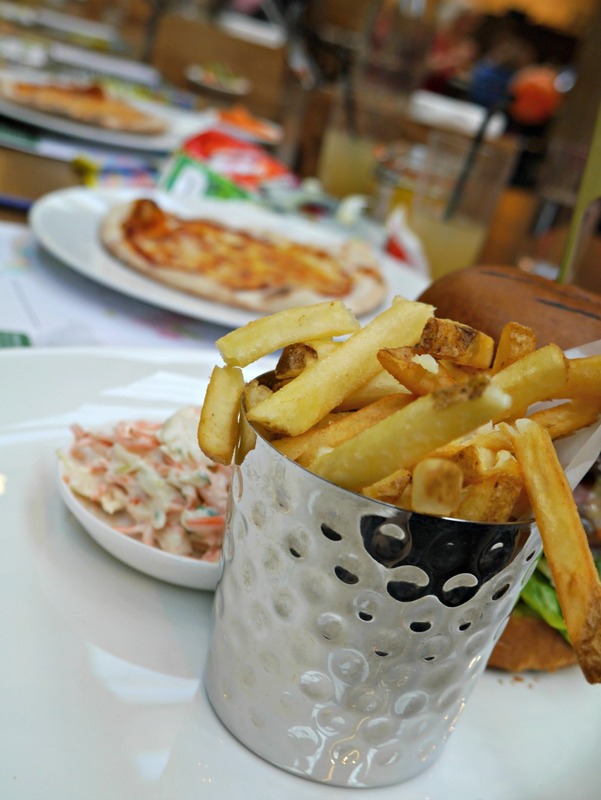 The food is also really good (I had the giant T Rex burger and everyone else had, predictably, pizza). 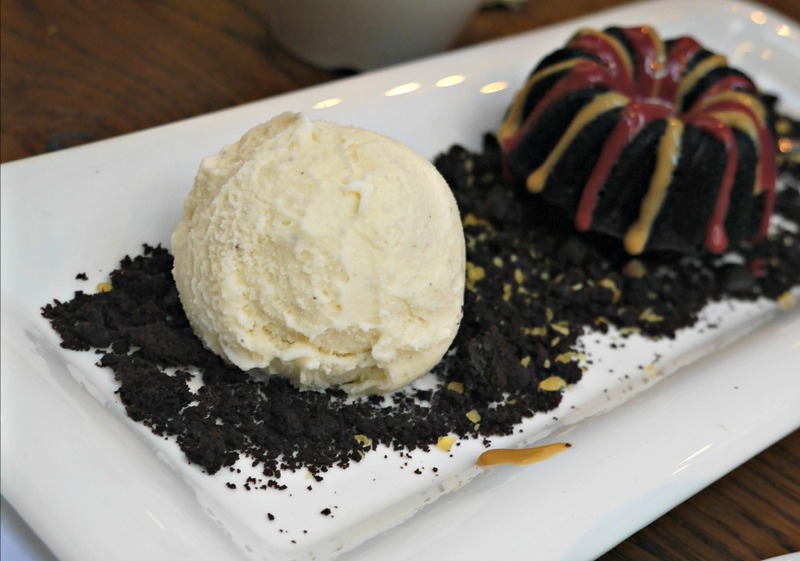 The puddings are also great; the ice cream even comes with chocolate dinosaurs and dinosaur eggs (although the grown-ups had the chocolate lava cake). 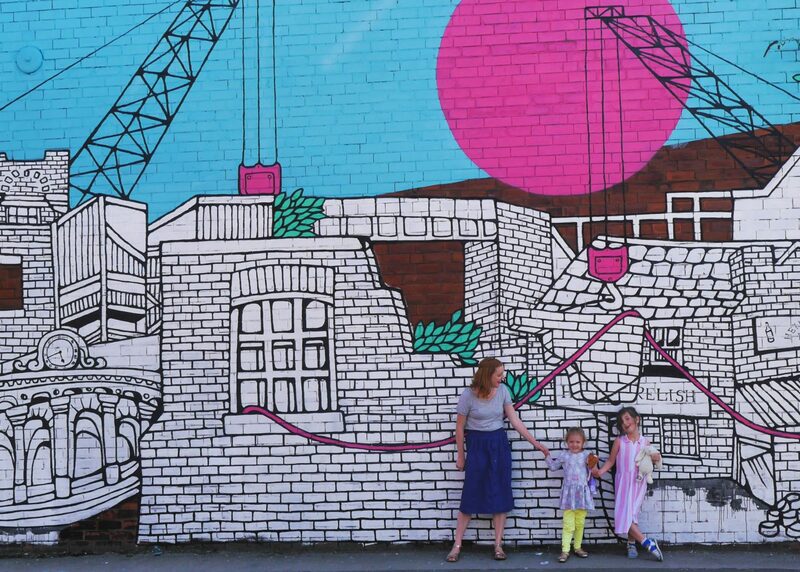 One of the many ways London changes when you’re a parent is that it becomes less about places to entertain you – mostly involving alcohol – and more about keeping your children occupied. The best places are those that do both. And somewhere like the T Rex Grill and the Natural History Museum, where you can get good food in the process, is a massive bonus (P.S. – there’s also a wine list).